This is officially my third box since I subscribed to the new Allure Beauty Box and once again I find myself contemplating whether I want to continue with this subscription. Although I love that it arrives early in the month (much earlier than any of my other subscriptions), I just can’t justify the price sometimes, especially when I don’t end up utilizing most of the products. I am actually really excited to try this product. Thanks to previous Ipsy bags, I’ve tried Klorane’s dry shampoo, which I really enjoyed, and Klorane’s eye patches. The bottle reads that this product is hypoallergenic and for sensitive eyes. The formula smells strongly of flowers, but I can’t say that I mind. I love L’Occitane and am excited to see them in a subscription box this month. This Divine Youth Oil is meant to hydrate your skin and also contains anti-aging properties. This product also has a strong floral scent that I really like, but considering the hefty price tag ($106 for 1oz), I don’t believe I will ever purchase it. This product had me baffled as soon as I opened the box. Allure’s helpful little booklet calls it a “volumizing serum,” while the adorable little packaging states simply that it is an “oil free volumizer.” Although I’m not too interested in haircare, especially since my hair is color-treated and I don’t like to apply any sort of heat to style it because my hair is already pretty damaged, I may have to whip out my blow-dryer like the booklet instructs in order to try this lavender-scented curiosity. It was a pleasure to encounter another brand that I recognized in the shape of this verbena and lavender scented body wash. In my purse right at this very moment sits the Verbena and Lavender de Provence Ultra-Moisturising Hand Therapy. My sister had previously received it in an Allure Sample Society subscription, but said she couldn’t imagine herself smelling like a lemon.¯\_(ツ)_/¯ I, for one, have really enjoyed this scent! Go figure! …and once again we encounter the dreaded perfume sample! Luckily, since this box already contains five other products, I don’t really mind. Recently, I’ve been on the hunt for my own signature scent and have been trying to get my hands on as many fragrance samples as possible. Unfortunately, the hunt continues, because I found Hanae to be too strong and sweet for my taste (and also what my roommate refers to as powdery). In sum, I was disappointed that the only makeup item in this month’s box was an item that I don’t care for. I can appreciate that the team at Allure that curates these boxes makes an effort to diversify their selections, featuring haircare, skincare, and fragrances, right now though, I am really all about the makeup. Although I was pleased to see some new products from familiar brands, there wasn’t anything that really thrilled me. 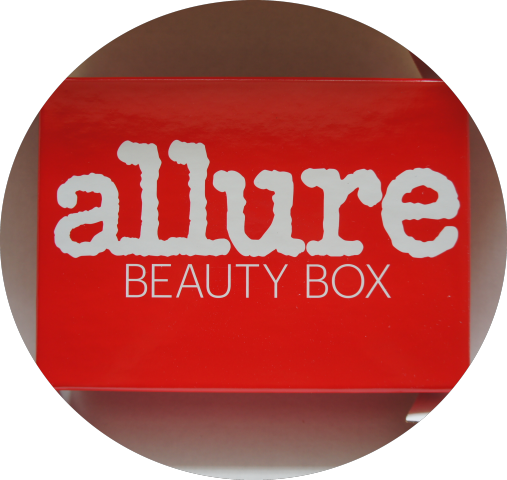 I may still give the Allure Beauty Box one more month to wow me. 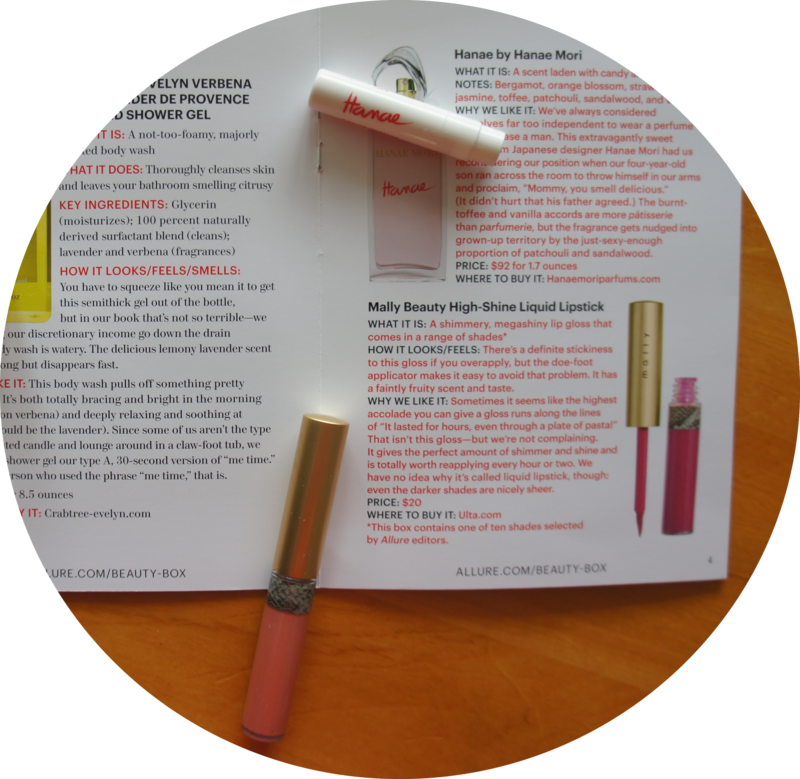 Tags: allure, allure beauty box, beauty subscription, Crabtree & Evelyn, Hanae Mori, Klorane, L'Occitane, makeup, Mally, november 2015, subscription box, unboxing. Bookmark the permalink.